Requiescat in Pace, Uncle John! 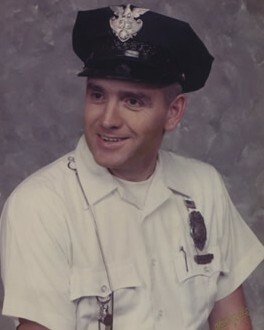 I never knew you, but my Father [Joseph Edwin Sevick -- CPD for forty years] would speak of you. We had a family scrapbook which I was sometimes allowed to see with newspaper articles concerning your CPD career. The last time I visited the County Courthouse one of the door's into the 4th Floor NE courtroom still had a bullet hole in it from the shot that took your life. The hole was plugged with a different material from the rest of the door panel. If anyone knows anything about my Uncle's widow, or can direct me to her family, please post a note here. I've never had any contact with them. Your heroism that day may have prevented further tragedy if the criminal had escaped the courthouse. thank you, and please know, the CPD will never forget your contribution. Rest in Peace, Patrolman Sevick. Your sacrifice is not forgotten. I salute you for your dedicated service to the City of Chicago and its citizens. You are a true hero. I am glad that justice was swift for the individual that took your life and ended so many dreams. You will not be forgotten. your sacrifice and that of your loved ones lives on at this site and you and they are not forgotten. while muted in sorrow, your story is an inspiration for us now decades later in that by some measure, justice was swift and most assuredly appropriate. there are far too many cases noted at this site where justice for those who sacrificed themselves for the rest of us was denied. Thank you for your sacrifice. Time has not forgotten you nor your service.